The rapidly expanding medical equipment market offers significant opportunities, but also creates challenges for power supply builders and users alike. The trend towards home care equipment increases not only the opportunities but also the challenges. These arise from the complexity of modern legislation and the shift of responsibility towards medical power supply market manufacturers to rigorously assess the compliance of their own products. In this article we look at the current situation and review the legislation now in place in Europe and North America. We see how the standards required depend very much on the level of patient contact, and how applied parts as well as power supplies must be taken into consideration. Some practical solutions for different compliance levels and applications are also offered. The global market for medical power supplies is rapidly expanding. According to a MarketsandMarkets report ‘Medical Power Supply Market by Technology’, the sector was estimated at $642 million in 2012 and is forecast to reach $866.8 million by 2017. The report attributes a number of factors to this growth; these include improving power supply technology and efficiency, opportunities in emerging economies, advances in medical device technology and portable medical equipment, increasingly aged populations and growing incidence of lifestyle-related diseases. Other influences include an upsurge in home patient care and a shift towards mobile medical devices. While these opportunities are attractive, they are restrained by competitive pressures and stringent regulatory and certification procedures. Once regarded as low volume devices commanding high prices because of their special designs, medical power supplies are now sold in larger volumes at smaller margins as component and power supply designs have improved, and major power supply manufacturers have geared up production for increased demand. Remaining compliant is a challenge, partly because of rapidly-changing legislation but also because there are so many different aspects to a power supply’s compliance. Safety is paramount, but resilience to target environment conditions, energy efficiency and CE approval are also essential. Medical power supply market trends are adding to these challenges, because they are placing more medical devices and power supplies into users’ homes. Mobile and Internet communications services make this an increasingly viable and attractive option for care providers, while patients enjoy a more convenient and lower stress experience in the comfort and familiarity of their home surroundings. However home conditions, unlike a professional hospital environment, are uncontrolled, unknown and often far from perfect. A hospital environment is sterile and defined, with trained staff on hand during patient treatment. In an uncontrolled home environment, incorrect equipment use plus unsuitable environments can result in equipment malfunctions, injury and possibly even death. Approximately 50% of homes in Europe and North America have unreliable earthing systems, while uncontrolled use can lead to potential liquid ingress from rainfall or even a spilled drink. Other potential problems include dirt, dust, shock, vibration, extreme temperatures and humidity. Even carpets can be a problem, as they can generate electrostatic discharges sufficient to interfere with sensitive electronic equipment. Against this challenging background, reliability is particularly important as a failed device will be difficult to repair or replace quickly in a remote location. In any case, the safety requirements for the medical power supply market are more stringent than those for industrial applications, because their users – the patients – are likely to be in a weakened condition, and susceptible to electric shocks that may not harm a normally healthy individual. Additionally, medical devices such as patient monitors often operates at very low signal levels, increasing their susceptibility to electromagnetic interference (EMI). Equipment regulation authorities have recognised the special challenges posed by medical equipment applications, and have generated and revised legislation accordingly. For North America and the EU, IEC/EN 60950 is a set of guidelines for the electrical safety of equipment connected to the public power grid while IEC/EN 60601-1 – now in its third revision – is a further series of technical standards relating to the safety, essential performance and EMC compatibility of medical electrical devices. These follow the requirements established by IEC/EN 60950 but with increased levels of protection for insulation/isolation, creepage, clearance and leakage current. As part of this standard, IEC 60601-1-11 – Part 1-11 specifies the basic safety and essential performance of medical electrical equipment and systems used in the home healthcare environment, including external ac – dc power supplies used by them. Note that nursing homes are classified as ‘home’ within the EU, but ‘clinical’ in North America. Table 1 below summarises the current status of 60601-1 and 60601-1-11 in Europe and the US in more detail. At this point, it is important to note that not all medical equipment has to comply with EN/IEC60601-1; it depends on the equipment’s application. Medical products are classed either as medical devices (MDs) or in-vitro diagnostic medical devices (IVDs). IVDs are devices such as centrifuges, used to analyse specimens taken from the human body, while MDs are devices like cardiac monitors or respirators that are connected to or come into close contact with patients. It is the device manufacturer’s responsibility to carry out a formal risk assessment process (ISO14971) to determine the likelihood of a patient coming into contact with the device. If this indicates that there is no risk of this happening, IEC/EN 60601-1 norms do not apply and a power supply conforming to IEC/EN 60950 is often sufficient. If the first key requirement of 60601-1 is to make manufacturers responsible for risk assessment, then the next is about providing one or more Means of Protection (MOP) within their product. MOPs isolate patients and operators from the risk of electrocution from accessible parts of electrical equipment, and can be safety insulation, a protective earth, a defined creepage distance, or an air gap or other protective impedance. These can be used in various combinations. As Fig.1 shows, one MOP equals basic insulation while two MOPs equal double insulation. The third (current) edition of IEC/EN 60601-1 differentiates between the risk to patients and the risk to operators. Accordingly, a MOP becomes either a MOPP (Means of Patient Protection) or MOOP (Means of Operator Protection). MOPP is a new name for creepage and clearance applied specifically to patient contact medical devices. For MOOP, creepage and clearance are identical to IEC60950-1 where the standard is specific to operator contact only medical devices. It is the responsibility of the medical product manufacturer to determine the likelihood of a patient coming into contact with the device, and decide accordingly whether patient protection (MOPP) or operator protection (MOOP) is appropriate. If the medical device comes into contact with patients, it must meet the insulation requirements of MOPP. In any case, the insulation between PRIMARY to SECONDARY must meet at least 2 x MOP and at least 1 x MOP between PRIMARY to protective earth (FG) at normal conditions. A power supplies that meet 2 x MOPP standards provide the highest level of protection. It can be advantageous to specify a 2 x MOPP power supply because it can cover most medical applications. The standard considers insulation in terms of both creepage and clearance because solid materials and/or air can be used to provide voltage insulation – and clearance is the shortest distance through air between two conductive parts, while creepage is the shortest distance along the insulation surface between them. Table 2 below shows IEC/EN 60601-1 Third Edition’s requirements for MOPPs and MOOPs, related to isolation, creepage, clearance and insulation. In addition to specifying the insulation levels essential for medical power supplies and equipment, IEC 60601-1 pays particular attention to Applied Parts, which refer to the parts of the medical device or system that come into physical contact with the patient for the device to perform its intended function. Type CF (Cardiac Floating) is the most stringent classification, being required for those applications where the applied part is in direct conductive contact with the heart or other applications as considered necessary. Type BF (Body Floating) is less stringent than CF, and is generally for devices that have conductive contact with the patient, or having medium or long term contact with the patient. Type B is the least stringent classification, and is used for applied parts that are generally not conductive and can be immediately released from the patient. Type B applied parts may be connected to earth, while Type BF and CF are ‘floating’ and must be separated from earth. It is the responsibility of the medical product manufacturer to properly evaluate and determine the classification of applied part types (B/BF/CF) in the final product. Power supplies are not medical devices or applied parts, and their outputs should never be connected directly to a patient. Many medical devices contain medical-rated power supplies. However, only the part of these ‘medical devices’ that may come in contact with a patient during normal operation is classified as an ‘Applied Part’. A properly-qualified medical product or system has suitable applied parts together with power supplies that meet requirements both for maximum leakage current and minimum insulation between the secondary output to protective Earth (FG). In AC-connected power supply there will be leakage current caused by capacitive coupling across power transformers and by the Y-class filter capacitors that are necessary to maintain EMC performance. Medical equipment that has direct physical contact with patients must limit its leakage current to the lowest prescribed levels as specified by IEC 60601-1 and shown in Table 3. In addition to the leakage current requirements, power supplies must also meet the isolation levels relevant to the Applied Parts types used, as shown in Table 4. Ultimately, the entire medical device or system must be qualified to a level appropriate to its application. This means that the power supply must comply with isolation and leakage current limits, while the Applied Parts must comply with B, BF or CF levels. We offer a range of IEC 60601-1 Third Edition-compliant medical power families in Open Frame, Adaptor and Enclosed form factors. Open Frame types with Single, Dual, Triple and Quad outputs with MOPP basic safety approval and low leakage currents are available for applications such as patient monitoring systems or infusion pumps. Adaptor types in both Wall-mounting and Desktop bodies without need of an external enclosure offer MOPP insulation, low leakage current and compliance with IEC 60601-1-11 as well as 60601-1; this means they are qualified for home healthcare environments for devices such as dental curing lights or transportable oxygen concentrators. Enclosed types are available with MOOP level and basic safety approval, offering low leakage currents. Applications include non-patient contact medical devices such as aliment mixers or urinanalys testing units. Standards relating to medical power certification are complex, yet ensuring the right level of compliance for each product is a highly important issue. No-one wants to risk injury to patients or operators, or related exposure to reputation damage and consequential losses. 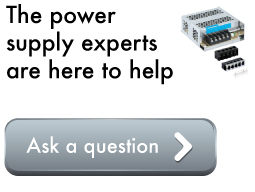 Equally though, there is no point in over-certifying a power supply in relation to its target application. Not all applications demand full MOPP insulation, for example. We have access to all the latest compliant medical products backed by many years’ experience and expertise in the medical power supply market. 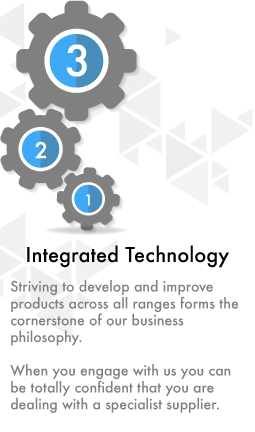 We can steer you through the minefield of certification standards, levels and product choices, ensuring you identify the best possible product for your application.